For this crimson look, use varying shades of red. Apply a hot pink crease color and a warm shimmery tone to blend. 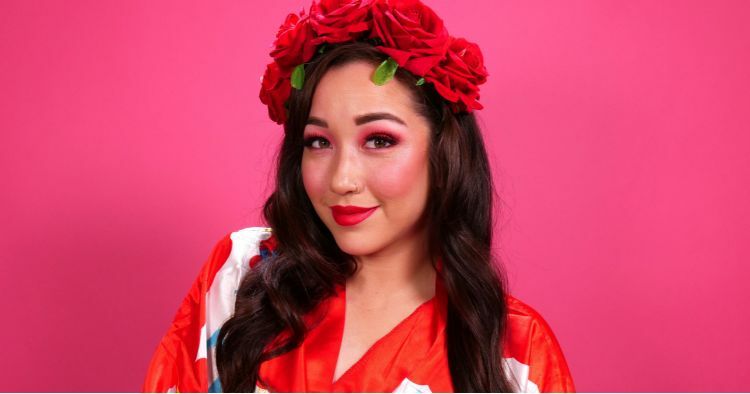 Use the hot pink for the lower lash line. 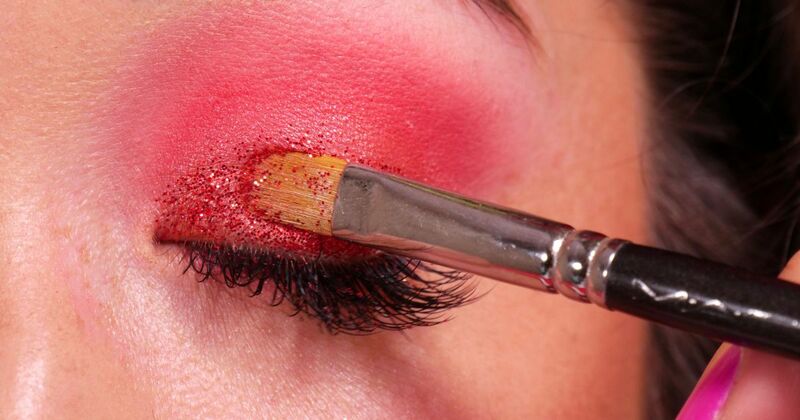 Apply red glitter and blend the top crease with a red tone. Finish off with a pink blush and a hot red for the lips.